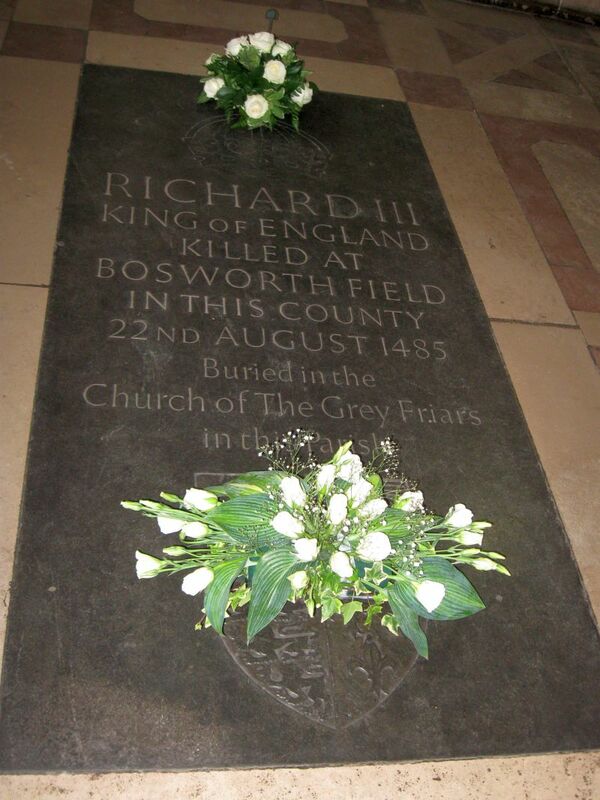 Home > Articles > News > Richard III: found? University of Leicester archaeologists have found a ‘prime candidate’ for the remains of Richard III, it was announced today (12 September): a male skeleton with possible battle injuries and a distorted spine. The articulated remains of an adult male were uncovered during the third week of excavations at the recently rediscovered church of Greyfriars – where historical accounts say Richard was buried following his death at the Battle of Bosworth in 1485. Interred in the friary’s choir– the most prestigious part of the church – the man appeared to have suffered fatal injuries to his skull, caused by a bladed weapon and consistent with battle wounds. A tanged arrowhead was also found between two of his vertebrae. Crucially, the University of Leicester’s Richard Taylor said, the man had suffered from serious curvature of the spine, which matched popular perceptions of the last Plantagenet king’s appearance. The recovered remains are now to undergo DNA analysis, which will take up to 12 weeks. 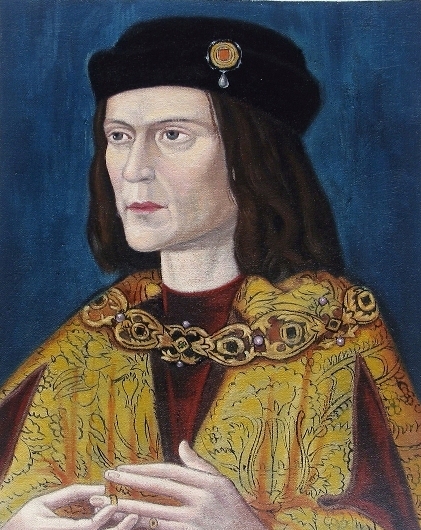 Results will be compared with DNA taken from a living relative of Richard III, a British Canadian man who is the king’s 17th generation great nephew. Professor Lin Foxhall, head of Archaeology at the University of Leicester, said: ‘The archaeological context and the skeletal conditions are very promising – this is a man with battle injuries and severe scoliosis. We will be running the full story on this discovery in CA 272. 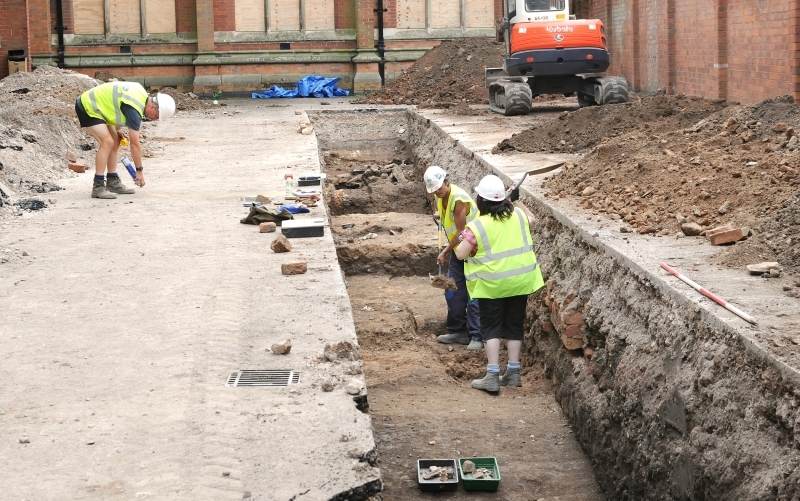 You can read more about the University of Leicester’s excavation at Greyfriars here, and click here to read more about how archaeologists plan to confirm the man’s identity. Follow the links for more information on his distinctive curved spine and battle injuries. A real gem in Archeology but will it prove or disprove his supposed misdemeanours? I find it sad to think a religious building under a car park. I always find it funny when they dig up old skeletons rather than letting the person rest in peace. If you dug up a person recently buried it would be a crime, but I guess it’s fine if they’ve been dead awhile! As long as they’ve gone and done it they might as well assemble the skeleton and display it as a curiosity for people to gawk at! What an ignoble 2nd act for Richard III! Dr. John Ashdown-Hill, a professional independent historian, was the singular person responsible for the discovery of the Richard III burial site. It was not Richard Buckley nor Turi King … which the University of Leicester PR Department wants the world to think it was.